424 Marlborough is located on the SW corner of Marlborough and Massachusetts, with 416 Marlborough to the east, across Mass. Ave., 426 Marlborough to the west, 421-423 Marlborough (33-35 Massachusetts Avenue) to the north, across Marlborough, and 47 Massachusetts Avenue to the south. 424 Marlborough was designed by architect Samuel D. Kelley and built in 1889 by Warren Dexter Vinal, a builder and real estate developer, one of four contiguous houses (424 Marlborough and 47-49-51 Massachusetts Avenue). Warren Vinal is shown as the owner on the original building permit applications, all dated March 1, 1889, and on the final building inspection report for 51 Massachusetts Avenue, dated November 15, 1889. 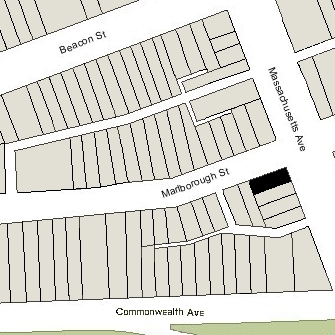 Click here for an index to the deeds for 424 Marlborough, and click here for further information on the land west of Massachusetts Avenue between the south side of Beacon and the north side of Commonwealth. On May 8, 1889, Ada Vinal transferred the land and the buildings (which probably were under construction) to her husband. On December 23, 1889, 424 Marlborough was purchased from Warren Vinal by Miss Abby (Abbie) W. Pearson. She was joined by her brother and sister-in-law, Charles Lowell Pearson and Mary Eliza (Cutter) Pearson, and their adult son, Horace Bertram Pearson. They all previously had lived at 6 Mt. Vernon. Charles Pearson was a shipping merchant in the China trade; Horace Pearson was an insurance and real estate dealer. Abby Pearson died in November of 1892. In her will, she left the bulk of her property, including 424 Marlborough, in trust for the benefit of her brother, Charles, other members of her family, and friends. Charles and Mary Pearson moved soon thereafter to the Hotel Kensington at 687 Boylston. 424 Marlborough continued to be owned by the trust established under Abby Pearson’s will and leased to others. By the 1893-1894 winter season, 424 Marlborough was the home of wholesale wool merchant Nathan Eisemann and his wife, Helen (Grunefeld) Eisemann. They continued to live there until April of 1900, when they traveled to Germany. By mid-1900, it was the home of Joseph M. Herman and his wife, Hannah (Hennie) (Adler) Herman. They previously had lived at 548 Columbus. He was a wholesale boot and shoe dealer specializing in the manufacture of shoes for the army and navy. On February 10, 1920, Joseph Herman purchased 424 Marlborough from the trust established under Abby Pearson’s will. Joseph Herman died in December of 1920. Hennie Herman continued to live at 424 Marlborough and also to maintain a home in Lynn. Hennie Herman lived at 424 Marlborough during the 1930-1931 winter season, but moved thereafter to the Copley Plaza Hotel. 424 Marlborough was not listed in the 1932-1937 Blue Books, nor in the 1931-1936 Lists of Residents, and was shown as vacant in the 1932-1936 City Directories. On November 6, 1934, 424 Marlborough was acquired from Joseph Herman’s estate by Mrs. Sarah Elizabeth (Williams) Hodson, the former wife of Septimus Hodson. She was a secretary in the real estate offices of J. Sumner Draper. On January 14, 1935, Sarah Elizabeth Hodson conveyed 424 Marlborough to Max Samuel Miller as trustee for the benefit of his son, Eugene M. Miller. 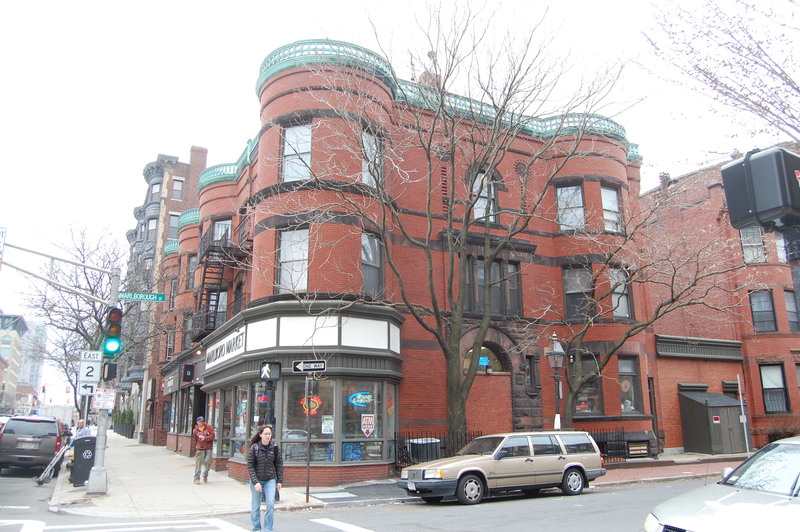 Max Miller operated the Miller Drug Company, and maintained a retail store in the building at 21-23 Massachusetts Avenue; he and his wife, Bertha (Levitt/Leavitt) Miller, lived in one of the apartments over the store, at 491 Beacon. By 1937, 424 Marlborough was the home of Dr. Henry Mayor Landesman and his wife, Eleanor D. (Peterson) Landesman. They previously had lived at 463 Commonwealth. He was a physician and surgeon, and maintained his office at 424 Marlborough and a second office at 151 Warren in Roxbury. In 1938, the Landesmans moved to an apartment at 366 Commonwealth, where they lived (and he maintained his office) until 1941, when they moved to 429 Marlborough. On November 15, 1937, 424 Marlborough was acquired from Max Miller by Domenic Salvati and his wife, Genesia (DeBernardi) Salvati. In the deed, Max Miller included a proviso that, for a fifteen year period, the property could not be used for a drug store nor for the sale of chemicals and other drug materials. In May of 1938, Domenic Salvati applied for (and subsequently received) permission to remodel the building and convert it into a single-family dwelling and store. The plans included creating a new street-level entrance on Massachusetts Avenue for the store, adding a one-story bay to the south of the entrance, and installing plate glass show windows on the Massachusetts and Marlborough façades. They also included closing the original entrance on Marlborough, and creating a new entrance on Marlborough for the apartment, located to the west of the western bow. In June of 1948, he amended the plans to replace the proposed one-story bay on Massachusetts Avenue with a one-story flat-fronted addition, allowing a larger show window. The remodeling was designed by architect Michael J. Mastrangelo. Plans for the remodeling — including elevations and floor plans — are included in the City of Boston Blueprints Collection in the Boston Public Library’s Arts Department (reference BIN R-9). 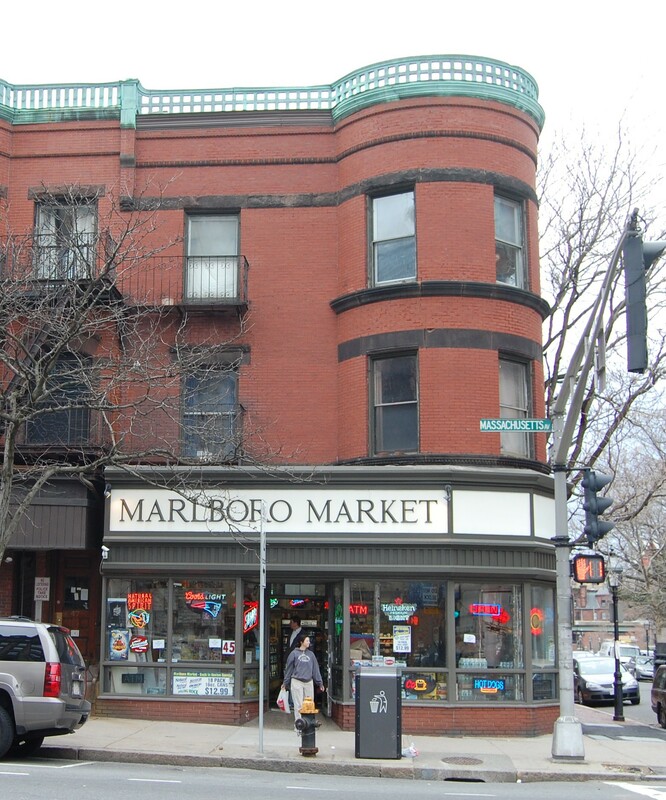 The Salvatis lived at 424 Beacon and operated the Marlboro Market in the storefront. In February of 1948, he applied for (and subsequently received) permission to build a one story addition in the open space between 424 and 426 Marlborough, to be used as a storeroom for the Marlboro Market. 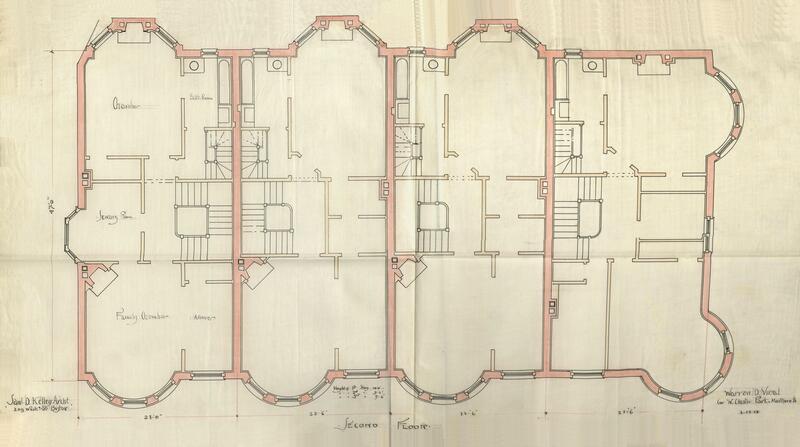 Plans for the remodeling are included in the City of Boston Blueprints Collection in the Boston Public Library’s Arts Department (reference BIN R-86). In May of 1948, the Salvatis acquired 51 Massachusetts Avenue. In 1952, the Marlborough Market was acquired by Peter (Pierino) Bergagna, who had worked there since 1939. He and his wife, Virginia (Medici) Bergagna, lived at 72 Commonwealth. 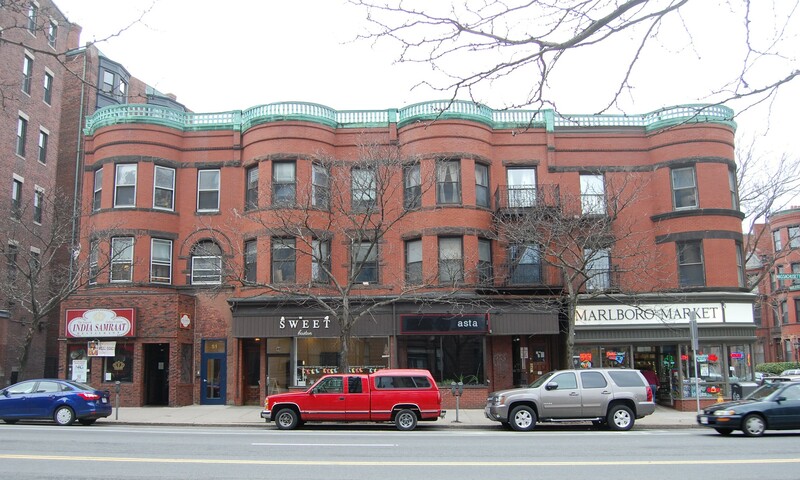 The Salvati’s continued to own the building and live in an apartment at 424 Marlborough. In March of 1955, Domenic Salvati filed for (and subsequently received) permission to remodel 424 Marlborough into two apartments and a store. At about the same time, the Salvatis moved from 424 Marlborough, probably to Belmont, where they were living at the time of their deaths, she in November of 1960 and he in June of 1961. On January 31, 1969, 424 Marlborough was purchased from the Salvatis’ son, Vincent Salvati, by Peter Bergagna and John Costantino. 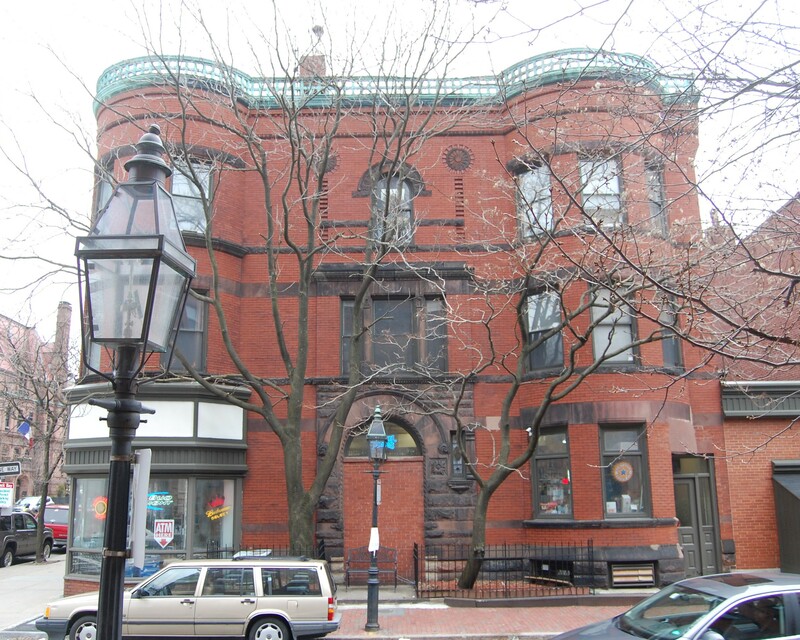 On October 31, 1969, they transferred the property to themselves as trustees of the 424 Marlboro Street Trust. On May 9, 1975, 424 Marlborough was purchased from Peter Bergagna and John Costantino by Thomas Malone and his brother, William P. Malone. On May 12, 1975, they transferred it to themselves as trustees of the Malone Realty Trust. They also acquired the Marlboro Market. On January 24, 2002, they transferred the property back to themselves, each with a 50 percent ownership, and on February 12, 2002, they each transferred the properties to themselves in trust: Thomas Malone as trustee of the TFM Marlboro Market Trust and William Malone as trustee of the WPM Marlboro Market Trust. On August 13, 2012, William Malone sold his fifty percent interest in 424 Marlborough to Thomas Malone, as trustee of the TFM Marlboro Market Trust. On October 17, 2017, 424 Beacon was purchased from Thomas Malone by the Boston Marlborough LLC (Michael Coffman and Jonathan Coffman, managers of record). 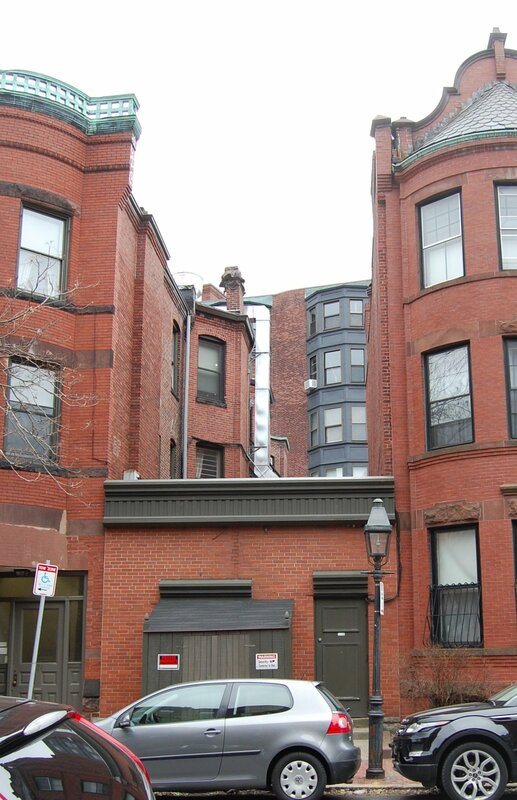 On March 23, 2018, the Coffmans converted the property into one commercial condominium and two residential condominiums, the 424 Marlborough Street Condominium.